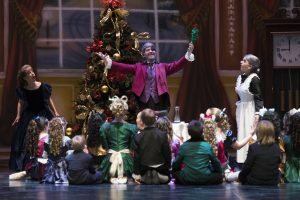 The season begins with the Nutcracker ballet each December, with live musical accompaniment provided by the Allen Philharmonic Orchestra. Spring season consists of an extensive number of performances in and around the Allen area, including Pirouettes for Pets, a free dance concert highlighting the needs of animals in the Allen area. And, the season comes to a close with Bravo!, an exciting evening of classical and contemporary dance, with guest appearances by the best of Allen’s musicians, actors and singers.